Celebratory sneakers for big game participants. Not only does participating in Nike Basketball's Peach Jam tournament have its perks, but making the finals brings extra spoils. 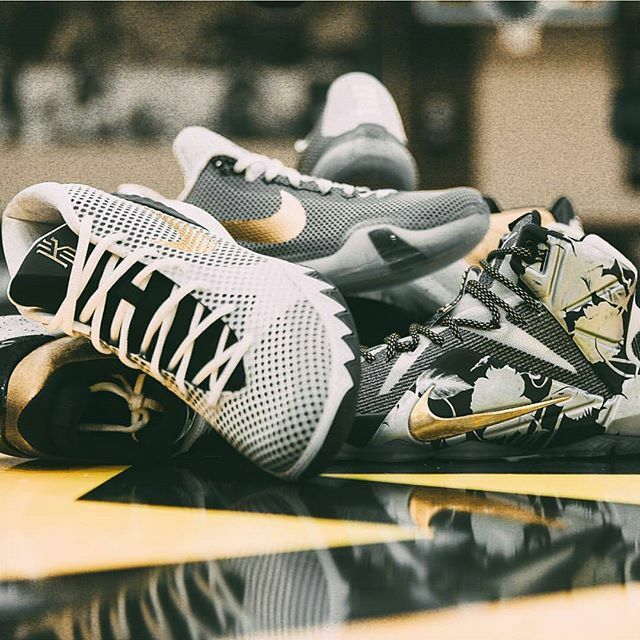 Players who qualified for today's final received special pairs of the LeBron 12, Kyrie 1 and Kobe 10 in black, white and gold colorways. 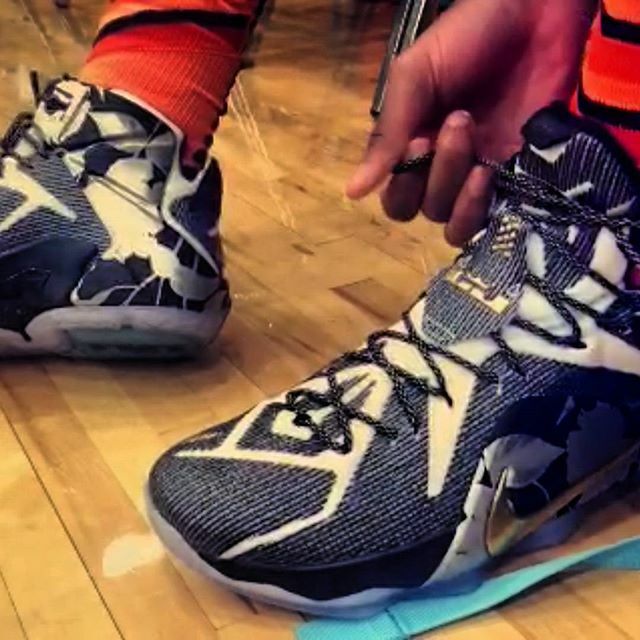 The LeBron 12 also features a floral graphic. 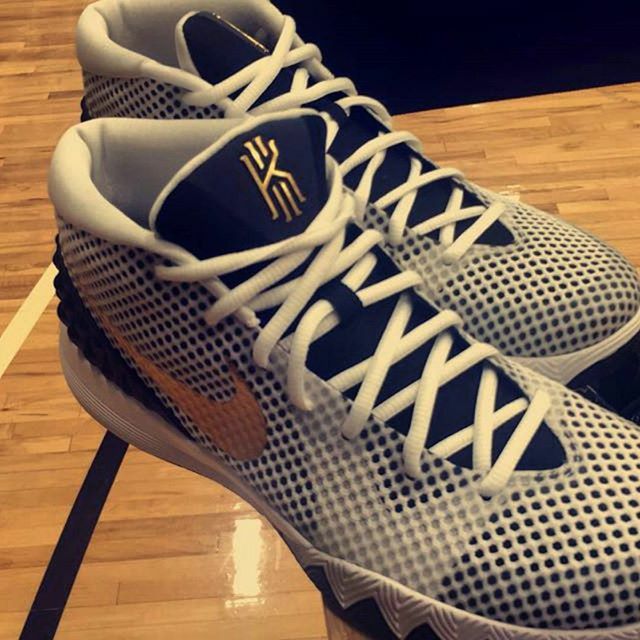 These sneakers won't be hitting retail, but similar make-ups can be made using NIKEiD.